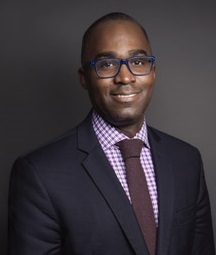 The DC CFAR is excited to host a City-Wide Seminar on Tuesday, March 20th from 6:00-8:00pm with speaker Gregorio Millett, the Vice President and Director of Public Policy at amfAR, the Foundation for AIDS Research. The seminar is entitled "The Next Disparity Fault Line: Opioids, Race, Geography & Infectious Disease", and will take place at the George Washington University Milken Institute School of Public Health Convening Center located at 950 New Hampshire Avenue, NW. Mr. Millett is the Vice President and Director of Public Policy at amfAR. He is a former CDC Senior Behavioral Scientist in the Division of HIV/AIDS Prevention (DHAP) who served in the White House Office of National AIDS Policy between 2009 and 2013 where he co-wrote President Obama's National HIV/AIDS Strategy and worked on its implementation across the federal government and nationally. While at the White House, Mr. Millett orchestrated the federal government and White House's involvement in AIDS 2012. As a scientist, Mr. Millett's research expertise is racial/ethnic HIV disparities, as well as HIV infection and circumcision among gay men. Mr. Millett has been credited with changing the research paradigm from individual to structural factors that place black gay and bisexual men at higher risk for HIV infection. His scientific work has been cited over 5,000 times and he has published in most of the top tier medical, public health, psychology and public policy journals, including The Lancet, JAMA, AIDS, AJPH, Am J of Prev Med, American Psychologist, JAIDS, Health Affairs, and other peer-review journals. Please join us for a reception with light refreshments at 6:00 PM, followed by the presentation from 7:00 - 8:00pm. Thank you for your continued support of the DC CFAR - we look forward to your participation in this special event!